"The region of Kalamata in southwestern Peloponnese, home of the world famous 'Kalamata Olives' or 'Calamon Olives', the best olive type in the world, is the most associated Greek region with olive production. The region is characterized by mild winter and cool summer. Details : 'Kalamata Olive', recognized for its almond shape and dark eggplant color, enjoys a reputation as a fruity and tasty treat. 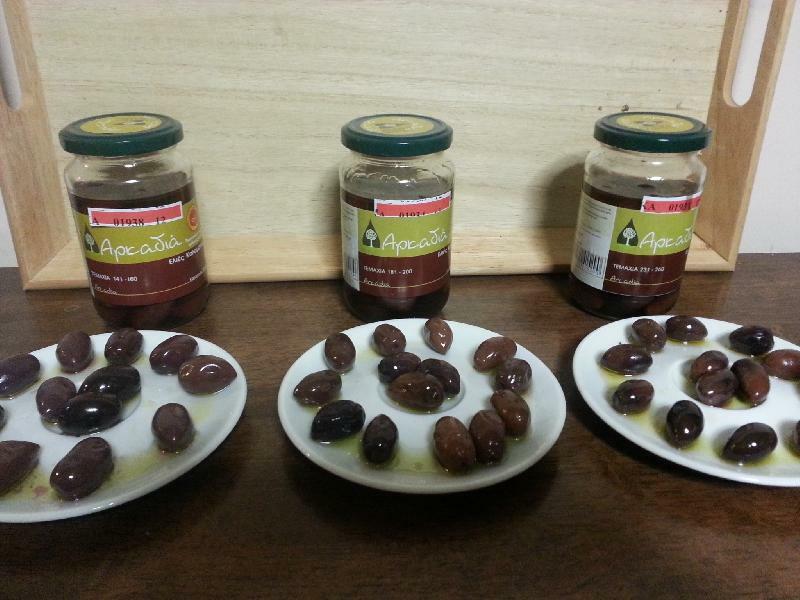 The Kalamata olive is a large, black olive with a smooth, meaty taste. It is often used as a table olive and is usually preserved in wine vinegar or olive oil. Its main quality criteria is the collection by hand when full maturation has taken place; when the color of the fruit is black. The fruit must be healthy, free from residues of other foreign bodies.